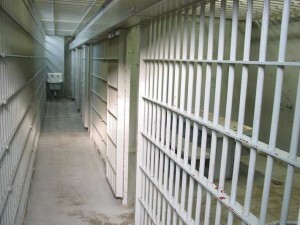 On Tuesday, a Mexican jail break left 22 dead (nine guards and thirteen prisoners), in the city of Gomez Palacio. Fernando Rivas, a spokesman for Durango state police, briefed the media earlier on the incident. “The number of dead could increase although we hope not. A number of guards and prisoners are currently in a critical state,” said Rivas, adding that he suspected some guards helped the prisoners smuggle weapons into the prison. Numerous reports claim the prisoners were armed with guns, which led to a shootout between prisoners and guards, though these same reports do not make mention of the exact kinds of guns used. In 2010, more than 140 inmates broke out of prison in the city of Nuevo Laredo. In February of this year, approximately 44 people died during a fight between two rival Mexican gangs at a northern Mexico prison. Although 22 dead in an attempted Mexican jail break pales in comparison to the previous examples, it’s clear that Mexico has a serious jail break problem. “Many of Mexico’s prisons are filled beyond capacity and struggle to counter the influence of criminal gangs that can use their financial muscle to corrupt those in charge,” writes Lizbeth Diaz, a Reuters reporter covering the story. Fortunately, Enrique Pena Nieto, the country’s new president, has vowed to reform the system to bring about a better, more peaceful tomorrow. We’ll have to wait and see if he follows through on those vows.